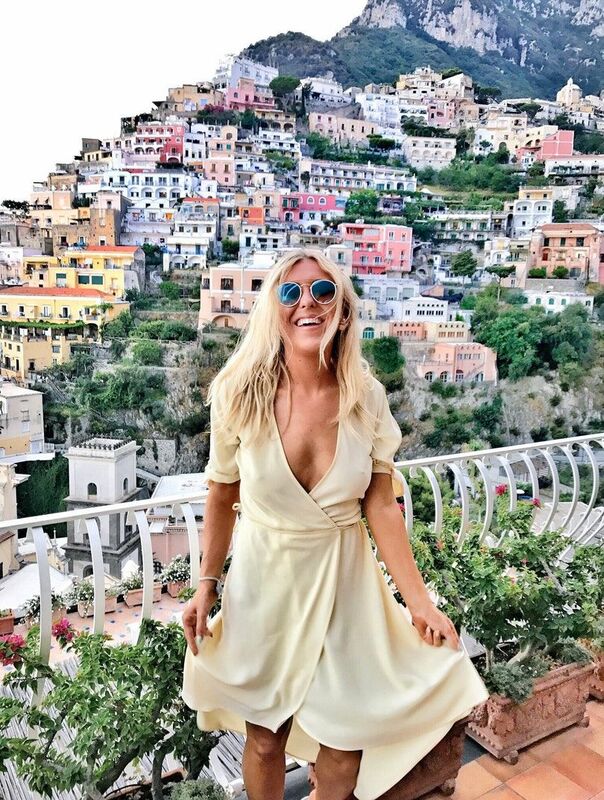 I fell head over heels in love with jumper dresses a few years ago and I truly have never looked back; comfort, style, easy to throw on and you can dress them up or down. What's not to love? I think my most worn outfit during the colder months is a knit dress and they need shouting about more. I love throwing something on, feeling fabulous but feeling comfortable all day too. I realised I haven't written a fashion blog post in quite some time so today, we're talking must have jumper dresses. Are you even a blogger if you don't live for autumn vibes? For me, (apart from Starbucks red cups - hello salted caramel hot chocolate) I get excited for knee-high boots and jumper dress season. The good news? It's in full swing right now. I love that in the U.K we can wear jumper dresses from September all the way through to March, as much as I'm a sun lover, it means I can feel like a duvet all day long. Whether you throw one on with trainers, heels, knee-high boots or ankle boots, you can mix and match your jumper dresses massively. Jumper dresses come in so many different styles too, I love wearing mine with both ankle boots and knee highs. 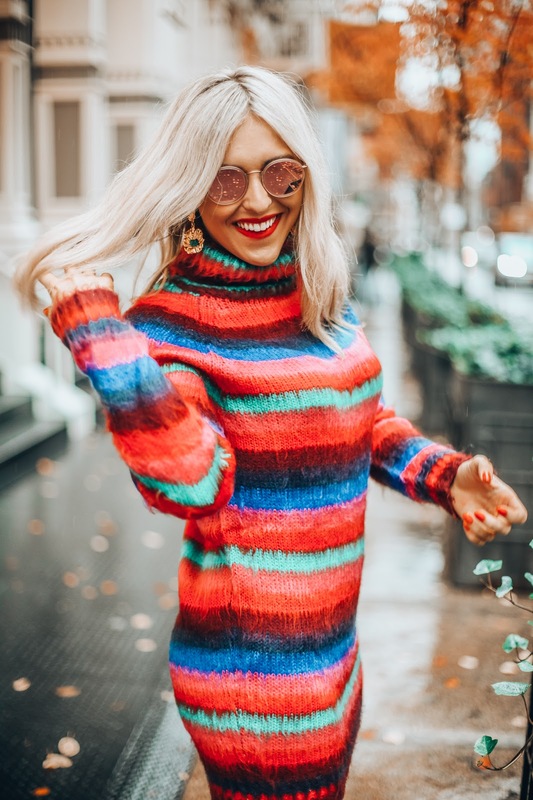 I think this is my first roll neck jumper dress and it's certainly my first boldly coloured one (guilty of usually going for neutral colours) but you know what, I am living for the vibrancy on a cold day in SoHo, New York. So if you want to feel like a duvet all day long, I'd highly suggest getting your knee highs out and a cosy jumper dress on. I couldn't talk about jumper dresses and not talk about my most worn jumper dress so far this year. This is so different to the above jumper dress but I love it because you can dress it up or down, it's more of a high necked ribbed jumper dress and even though it's super cosy, it's figure-hugging too. Teamed with the cult All Saints Balfern jacket and my new favourite Ted Baker boots, I think this is such a classic outfit for autumn (if you watched me styling this on my recent autumn haul, you'll know it also looks cute with knee-high boots or trainers too!) It's such a versatile dress. I'm a sucker for a versatile outfit. I've worn this jumper dress endless times, but I think my favourite has to be when paired with my velvet faux fur coat. 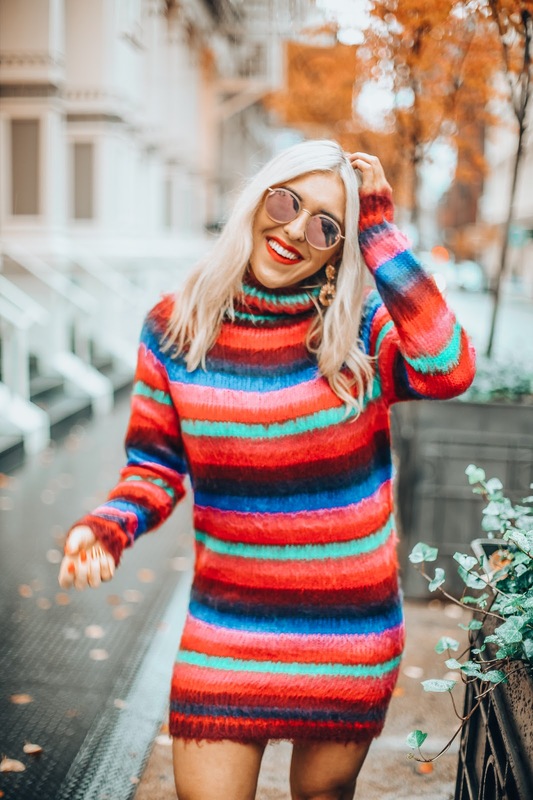 I couldn't resist showing you two of my favourite jumper dresses so far this season, why on earth not and I'm going to leave some more must-have knit jumper dresses below if you fancy adding one to your wardrobe too. So there we have it, I hope this helps you if you're looking for a nice new jumper dress this year, roll on the cosy knit dresses! Do you like knitted dresses?